This is the part of the church where the faithful attend and assist at the celebration of the liturgies, sacraments, services and ceremonies. Fonts are located at the entrances of the Nave. The Catholic, upon entering, dips the fingers of the right hand in the water and traces the Sign of the Cross upon their body. This blessing with water is a sign of our Baptism. 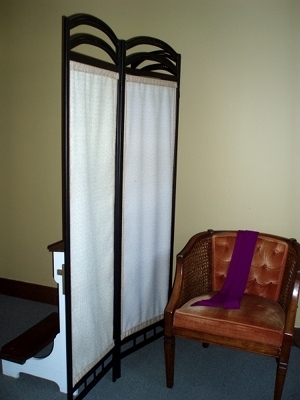 The small room behind the choir area is for the Sacrament of Reconciliation, also known as Confession and Penance. 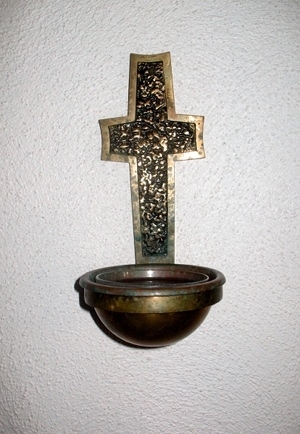 This is the sacrament by which sins committed after Baptism are forgiven by Jesus through the absolution of the priest. This secluded room within the church ensures privacy. Present within and on the grounds of the church building are statues of the saints. Inside the church are stained glass windows and the Stations of the Cross. These images are powerful reminders of the life of Christ and the holy men and women who live a Christ like life. 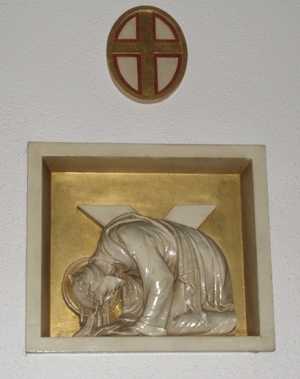 There are fourteen Stations of the Cross. In the middle ages, making the “Way of the Cross” became the way for those who could not visit the Holy Land and walk in the steps of Jesus to spiritually accompany Our Lord on His sorrowful journey to Calvary where he suffered and died for our salvation. 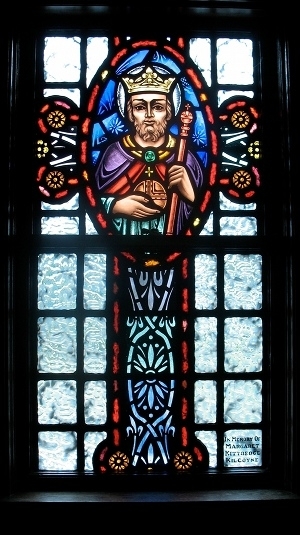 There are two different styles of stained glass windows in the Nave of St. Patricks. 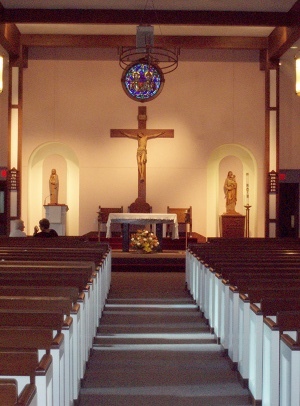 The newer windows are in the addition to the Church that was completed in 1983 and in the Eucharistic Chapel. Another of these new style windows was installed near the choir. 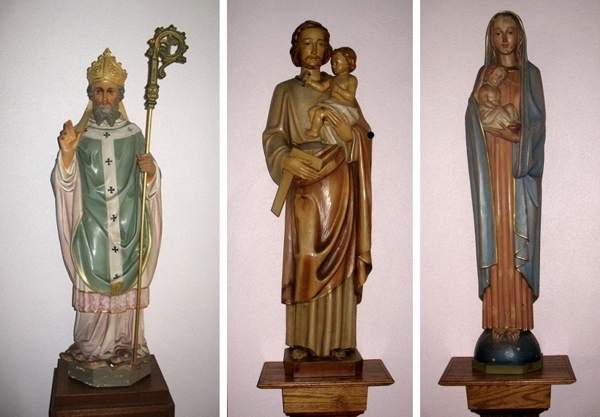 The statues in the nave and the sanctuary are depictions of the saints; St. Joseph, Our Lady – Mary, the Mother of Jesus, and the patron of our church, St. Patrick. A statue of St. Francis of Assisi stands outside the rear entry of the church.